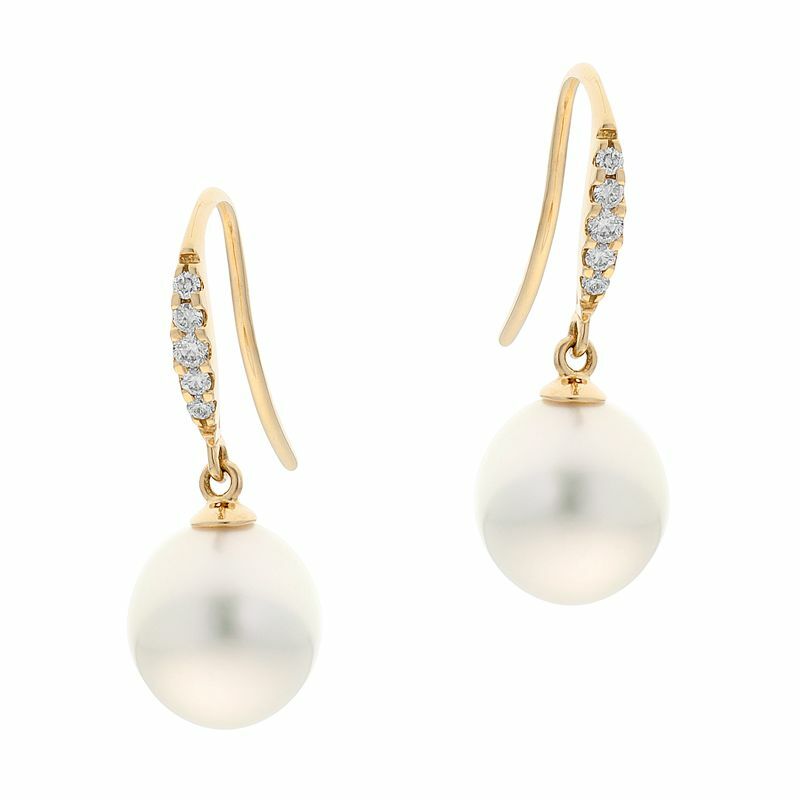 These drop style earrings feature articulating pearls suspended below a crescent of diamond. Crafted in a stud style for comfort and security. Match with our Cosmo Pendant for the perfect suite.